4	stars -	"Review for Custom Made to Measure Performance Exhaust System for Mitsubishi Triton MK 2.4 Litre 4G64 Motor Petrol" Dale Carter This Custom Made to Measure Performance Exhaust System for Mitsubishi Triton MK 2.4 Litre 4G64 Motor Petrol is the best Mitsubishi I have tried. 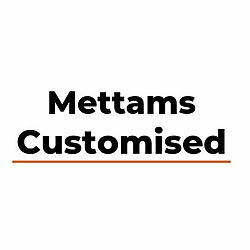 Mettams Mufflers can custom build a performance exhaust system for your Mitsubishi Triton MK 2.4 Litre 4G64 Motor Petrol. We do it every day for many makes and models. We do this in our workshops in Morley, Midland and Kelmsott.